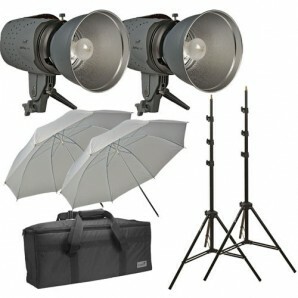 This is the Impact Two Monolight Kit Total with Case (120VAC). Each basic monolight in this kit has a digital readout coupled with its four-stop power variator. 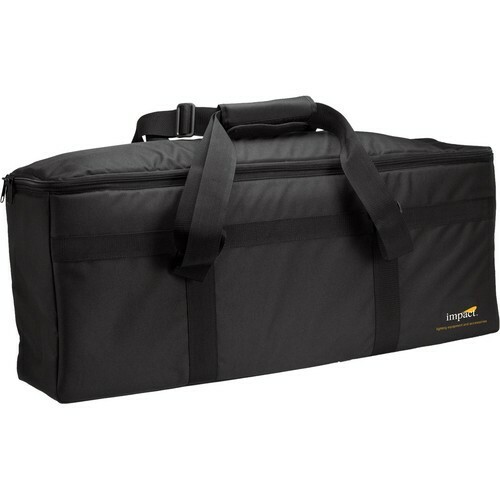 It accepts Bowens monolight reflectors and head accessories. The VSD160 has cushioned touch-pad function control buttons. Power is adjustable in 1/10 stop increments, from full to 1/8 power. Its model light intensity may be controlled coupled to, or independent from the strobe power levels you select. 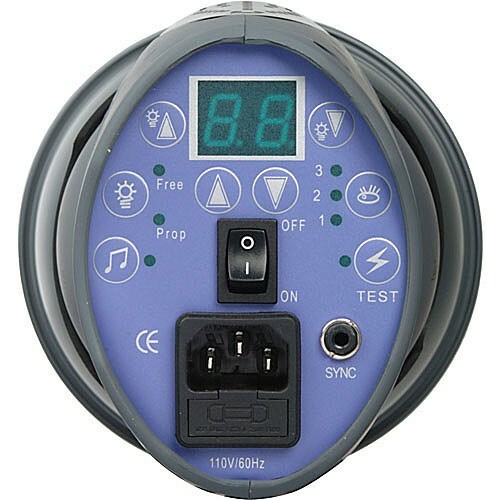 The Impact VSD160 is a good unit for occasional use by a hobbyist, or beginning professional. It is a good choice for building a system - its built-in optical slave fires the flash without wires, from the light of any other flash system. Its flashtube is good for tens of thousands of pops, and is replaceable. This two monolight kit includes air cushioned light stands, white umbrellas, sync cord (Mini plug to PC), and soft kit case with shoulder strap and movable internal dividers. Low sync voltage of 5VDC is safe for any camera. 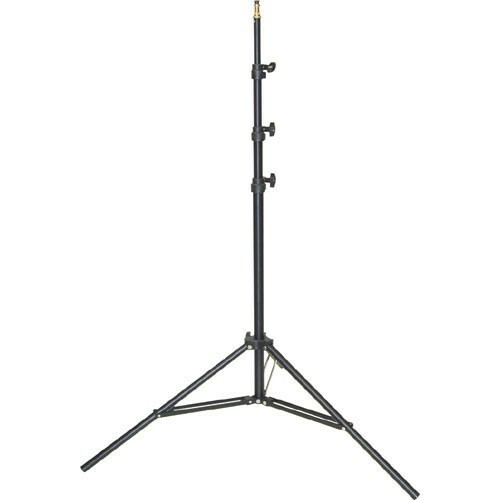 These monolights accept reflectors from the Bowens flash line. 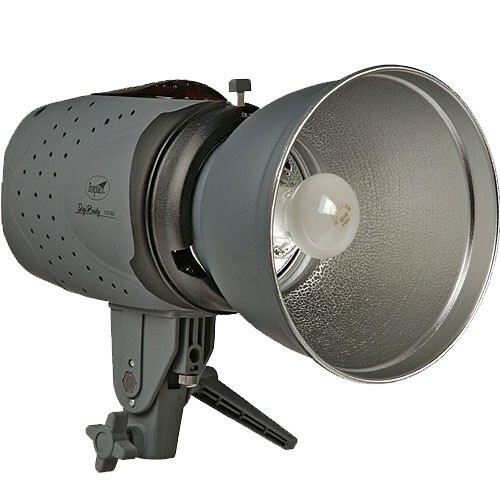 Each monolight has fast recycle time of 2 seconds at full power. Built in optical slave ""sees"" the light from the first unit, then fires instantaneously. The 10' light stands are air cushioned, which protects the light from damage, and your fingers from injury, should you forget to tighten the stand sections. 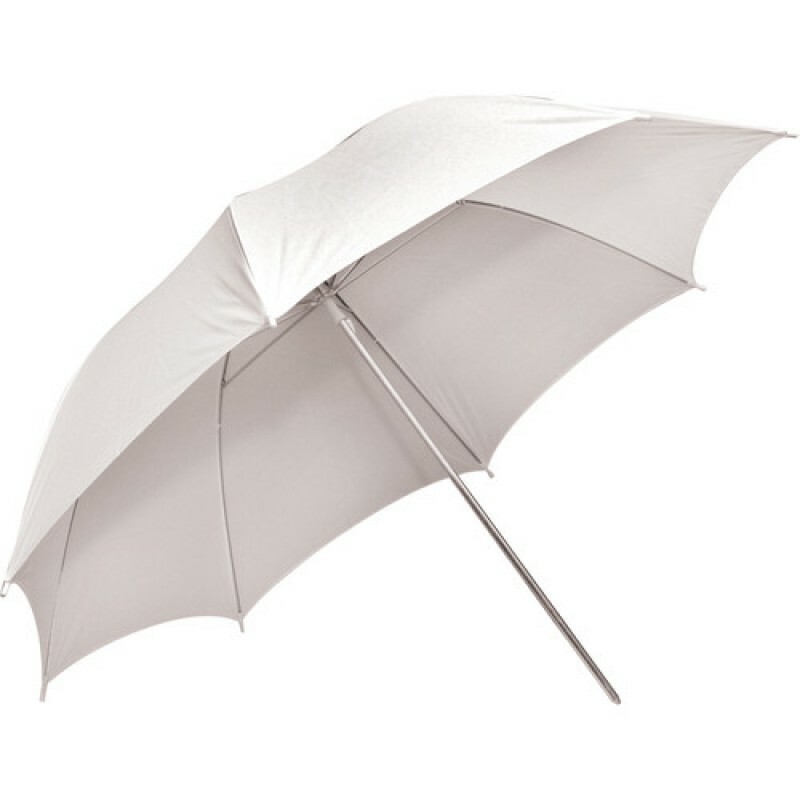 The white translucent umbrellas soften the light, and may be used to ""bounce"", or transmit light as a makeshift sofbox.